Chalk Paint® Sample Pots....GLORIOUS Sample Pots (120 mL meaning 4.22 ounces of paint). The 4 ounce sample pot can cover between 14 and 17 square feet of surface. That equates to about 3 dining chairs...maybe more depending on how thick you apply your paint and how many coats you need. And actually if you thin it with a little water ~ it will go even further! 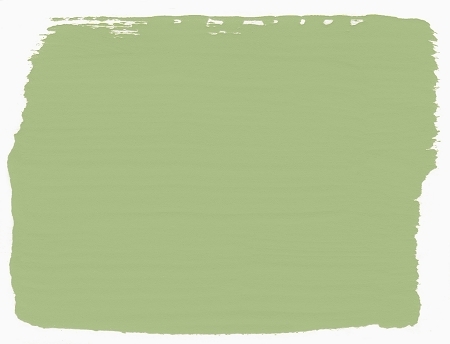 Lem Lem- a soft, apple green color! To me, it represents spring! The inspiration for Lem Lem came from the soft green of the fields of alliums that I saw when visiting Oxfam GB’s Ethiopian Seed Project earlier this year. The plants are grown by women farmers supported by Oxfam. The name Lem Lem means ‘to flourish’ in Amharic, the language of Ethiopia. It’s a word that I overheard the women farmers say, and thought it was the perfect name for the new colour because it represents hope. This limited edition colour is great for creating a retro 50's look, and works well as part of a vintage floral style. Every pot of Lem Lem sold will raise vital funds for Oxfam, helping people beat poverty worldwide.